I received a $1000 PCO to be used on a new Ford Ranger today. Anyone else get the same? 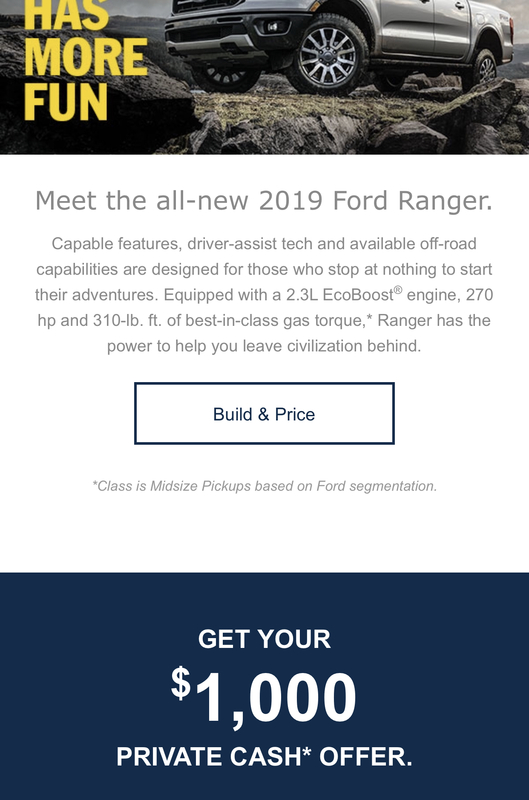 I’m sure Ranger leases are still garbage, but interesting to see a PCO on a new vehicle.